We are excited to announce the upcoming “Sons of Liberty” show to broadcast on the History Channel starting on Sunday, January 25, 2015 at 9:00 PM. The show will feature the pursuits of the Sons of Liberty, which included Sam Adams, Paul Revere, and John Hancock. The show will also portray John Adams, Benjamin Franklin, George Washington, and Thomas Jefferson. 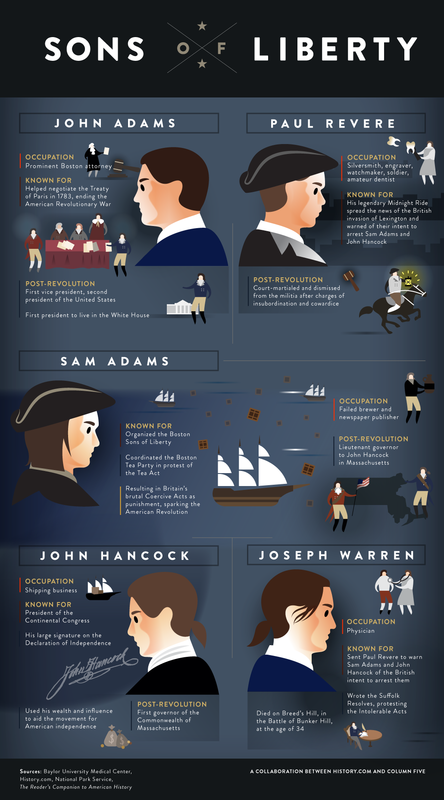 Not since the 2008 HBO “John Adams” series has a comprehensive illustration of Revolutionary War Era historical figures been created. You can find more information, including interactive activities, at the History Channel’s Sons of Liberty website. 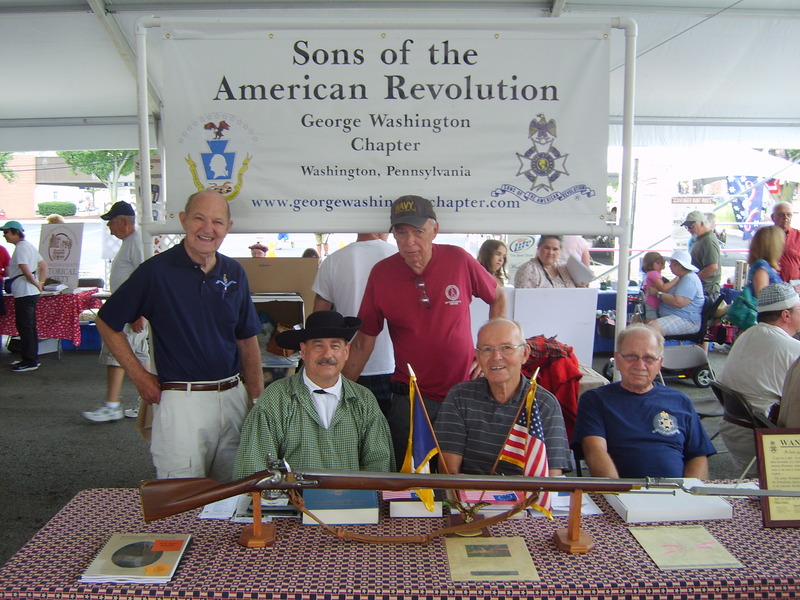 Compatriots of the George Washington Chapter were proud to attend the annual Whiskey Rebellion Festival held on Saturday, July 13, 2014 in Washington, PA. The festival celebrates the heritage and unique character of the region by focusing on the historical significance of the Whiskey Rebellion. The history of the rebellion is unique to western Pennsylvania and primarily Washington County. Community focused entertainment and family activities create a festival that pays tribute to the past, celebrates the present, and looks toward the future. Pictured above from left to right: Jack Schreiber, Ron Miller, Ron Eisert, Ed Schreiber, and Lindsy Morris. The Whiskey Rebellion was a tax protest in the early years of the United States. During the presidency of George Washington, farmers who sold their grain in the form of whiskey were required to pay a new tax which they strongly resented. The excise tax was a part of treasury secretary Alexander Hamilton’s program to pay off the national debt. On the western frontier, which included southwestern Pennsylvania, protesters used violence and intimidation to prevent federal officials from collecting the tax. In one instance, angry mobs tarred and feathered a tax collector, which is re-enacted each year at the Whiskey Rebellion Festival. In 1794, President Washington responded by calling a militia of 13,000 men to suppress the uprising. By the time the militia arrived, the rebels had dispersed, and there was no confrontation. The response demonstrated that the federal government had the authority to levy taxes and suppress resistance to its laws. 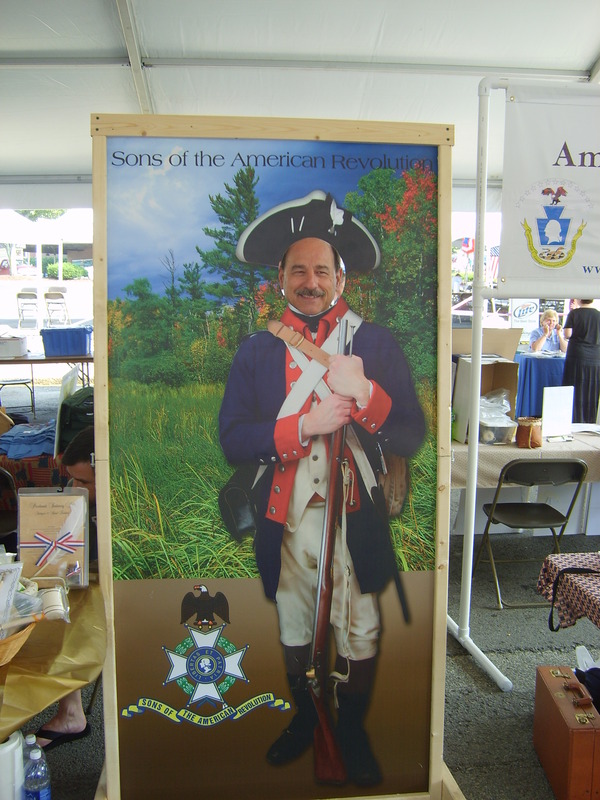 Compatriots of the George Washington Chapter regularly attend historical events within our region, such as the Whiskey Rebellion Festival, as well as parades and memorial ceremonies in which various chapter members dress in colonial period attire. The chapter is always looking for new members to actively participate in our meetings and activities, which include luncheons, picnics, and time to hear speakers present on topics related to Revolutionary War Era history. For more information regarding membership, please contact chapter Secretary and Registrar Gary Timmons at g.timmons@comcast.net.